National Defence Academy is popularly called as NDA. It is the most popular training institution which provides complete training to the candidates and brings out the cadets from them. All the highly trained and qualified cadets are then selected to serve the prestigious Indian Armed Forces. The various Indian Armed Forces where the candidates can serve the nation as an officer are Indian Army, Indian Air Force and Indian Navy. To get through the NDA candidates must qualify the national level entrance examination. NDA exam is conducted and organized by the Union Public Service Commission also known as UPSC. The aspiring candidates can give the exam two times in a year. The 1st set of NDA exam for the year 2018 will be organized on 23rd of April, 2018 and the second set of NDA exam for the year 2018 will be organized on 10th September of 2018. You can go through the entire article, we have provided complete details which will be helpful for the aspiring candidates. You will be able to get the online application form for the year 2018. 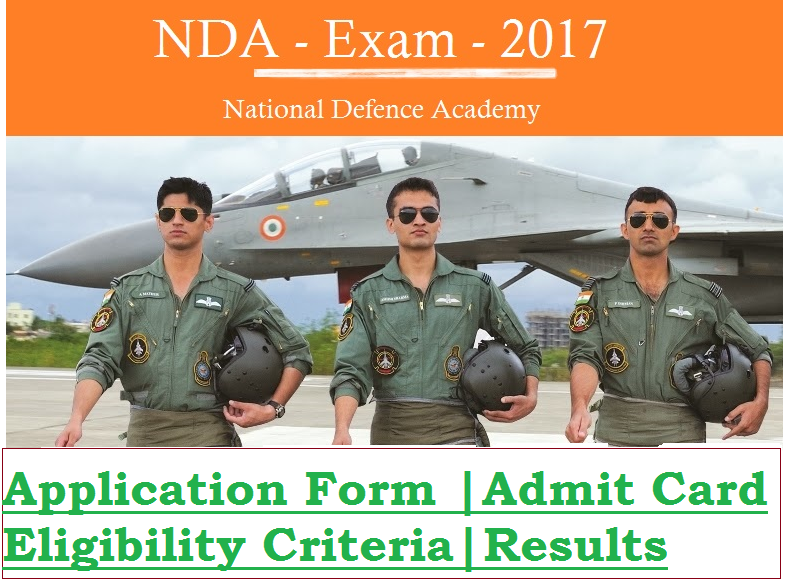 You can go through the complete syllabus, check the eligibility criteria, download NDA admit card. Cross check the expected cut off, exam results and we have also provided a detailed description of the entire selection procedure. The online application form fee for General & OBC aspiring candidates is Rs. 100/-. SC/ST aspiring candidates and wards of JCO or NCO or OR application from examination fee is not applicable. The payment of the application form fee can be done by cash in any recognized branch of State Bank of India, or it can also be done by SBI Bank net banking, or you can also use your SBI visa or master or debit card to make the payment. It includes an entire concept of Algebra, Matrics and Determinants, Trigonometry, Analytical 2D and 3D Geometry, Differential Calculus. It includes detailed knowledge of Vector Algebra, Probability and Statistics. It is divided into 2 parts. Part A contains English and Part B contains detailed knowledge of General Knowledge, Physics, Chemistry, General Science, History, Freedom Movement, Geography, Current Events. The UPSC provides the NDA examination eligibility criteria for the year 2018. The 2018 criteria are similar to that of 2016. No changes have been made for the year 2018. The entire eligibility criteria are divided into 4 parts. The first one is Nationality, secondly Marital Status, third is Age limit and finally, it is the Educational Qualification and Physical Standard. It is important for the aspiring candidates to fulfill all the eligibility criteria to appear in the examination. Below you can find the complete detailed criteria to apply for the NDA examination for the year 2018. Nationality– It is important for the aspiring candidate to be a citizen of India or an aspirant from Bhutan or Nepal or a Tibetan refugee can also apply, but they should have come to India before 1st January 1962 with the intention to settle down in India permanently. Marital Status– It is essential for the male candidate to be unmarried. In order to apply for the NDA I, it is must for the aspirant candidates to be born not before 2nd July 1998 and not after 1st July, 2001. If you are applying for NDA II, the candidates who are not born before 2nd January 1999 and not after than 1st January 2002 are eligible and they can apply for NDA II. Educational Qualification– If the aspirants are interested in applying for the Indian Air Force and Indian Naval Wings of National Defensed Academy, they can look for the 10+2 Cadet Entry Scheme available at the Indian Naval Academy. The aspiring candidates must have finished 12th or equivalent examination which should have subjects like Physics and Mathematics subjects from any Regional Education Board or a Recognized University. Those candidates who have finished their 12th or equivalent examination then they are eligible to apply. Physical Standards: It is important for the aspiring candidates to be physically fit . It is the guidelines set by National Defence Academy and Naval Academy Examination, it is an important eligibility criterion. Those candidates who have resigned or restricted because of any disciplinary issues from any of the training academies of Armed Forces are not eligible to apply for the position. Below are the simple and easy steps to follow in order to download the NDA admit card for the year 2018. 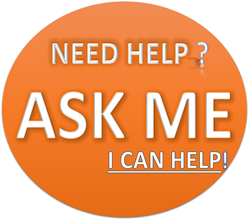 The first step is to visit the official website of UPSC. Once you have entered the official website, then search the link related to ‘NDA Admit Card 2018’ and once you have found it then click on it. Now, you need to select any one of the given options. You can choose to mention your Registration ID or your Roll Number. Now, provide the perfect details such as Registration ID or Roll which you have to choose along with your Date of Birth. Next step is to mention the security code and then click on ‘Submit’ option. You will be able to see the admit card displayed on the screen. The aspiring candidates can download this admit card. You can also get some extra printouts for future use. The final cut offs for the NDA examination conducted by the UPSC for the year 2018 will be decided based on the aspiring candidate performance altogether in the written exam, personal interview test and the medical examination. The aspirant candidates will be selected to get entry to the NDA & NA by these final cutoffs. It is very important for them to fulfill their dream. The total marking of personal interview & medical test will be calculated as 900 marks. The final merit list will be calculated out of 1800 marks. You can check the NDA examination result online by check the official website provided by the UPSC. The result is declared in 2 stages. In 1st stage, you will be able to get the result of written test. This can be fetched by providing the roll number of candidates who are shortlisted for the SSB round. The NDA final result is always declared after SSB interview. It is important for the aspiring candidates to keep the roll number safely, this roll number is very important to print the result of the qualified candidates. It is important to score the prescribed written cut-off marks prescribed by the board. The primary step is to visit the official website. Search and click on the link which provides the result. You will be able to see the result in PDF format. You will find the PDF along with the roll numbers of qualified candidates. These candidates are qualified after the interview conducted by Services Selection Board of the Ministry of Defence. You can save this PDF file of result for future references, and you can also share this with your friend. We all know that the Union Public Service Commission conducts NDA examinations every year. The application forms are available online and the aspirant candidates those who are eligible can apply through online. The primary education qualification is to pass the 10+2 from a recognized state board examination. The selection process is further divided into Written Test & SSB Interview. UPSC conducts NDA examination into 2 Stages. The exam consists of Maths and General Ability Test, and you get a time of 2 ½ Hours for each examination and the maximum marks for Maths is 300 & General ability is 600. It is completely an objective type question paper only. The question papers of Math and General Ability Test will be available in both Hindi and English language. Those who all get through the written examination will be asked to appear for the interview. This interview is conducted by the SSB For applying for Army and Navy Wings & 10 +2 Entry, and aspiring candidates need to pass the Intelligence Test & Personality Test. If you are applying for the Air Force Wing, then it is must to attend a Pilot Aptitude Test. The Interview has both Intelligence & Personality Test. Its very nice to read such article. In today’s world when people are running after money making, your article is helpful to encourage them to join armed forces. If young Indian will be aware they will sure join NDA. Keep informing them.